As I have mentioned in my last post, the past weeks for me are all about frustrations. But when this package arrives, it really made my day! (Or I should say, my week because it really made my heart jump with joy!) The package contains these two awesome candy bags from wholesale-dress.net! This site is offering wide variety of fashion goods in a very cheap price! Imagine, I got these two bags for only $15! (I will put the exact link of the each of them below.) They also have products that are under $5 that is not just small accessories or what, but your $5 will cost you skirts, pants, bags, t-shirts, blouses and many more! So if you are looking for a cheap but with wide selection of fashionable products, I am definitely recommending wholesale-dress.net for you! 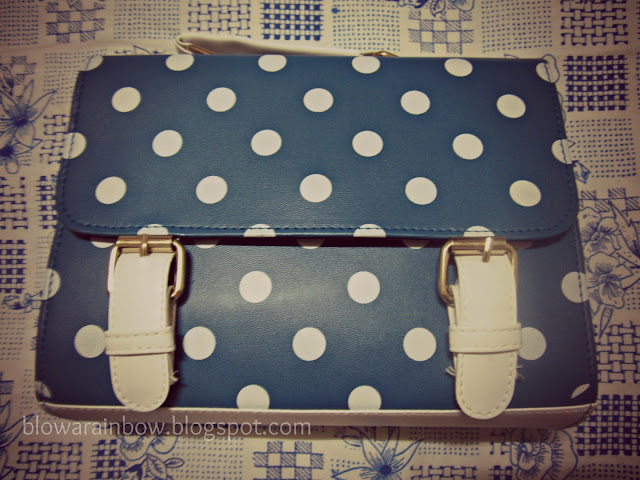 Going back to my post, the first one is the Fashion Retro Dots Dual Use Messenger Bag in Deep Blue. It is a 25x29cm polka dot bag decorated with two silver buckles at the front. As stated in its name, it is a dual use bag wherein, you can carry it by hand without the strap and with shoulders when you put the straps in. So functional isn't it? And it is just $8.35! A functional and cheap find in one! I love its watermelon color that is not red nor pink but a combination of both that blends well and sum up to this adorable and not so plain color. That little silver metal in the center also adds up a glam in this bag. Moreover, this bag only costs $7.30! Product Links: Fashion Retro Dots Bag, Double Buckle Bowknot Bag. You can also click their banner on the right side of this blog. I would love to hear your reactions and comments about my posts. It is a pleasure reading them! Also, I may post this on lookbook soon. Please be my fan and hype my looks! Thanks! Follow me on other social networking sites! bessaha as we say :) the blue is sooo cute! They are soooo cute and chic! Really like them! I love both bags!! although I prefer the blue one.. its so cool! Omg, I'm so excited, after finals I'm definitely hitting this site up! I love both of those bags, and I can't believe that you got them for such an awesome price! What cute bags, Lovely bags, I need to have at least one. 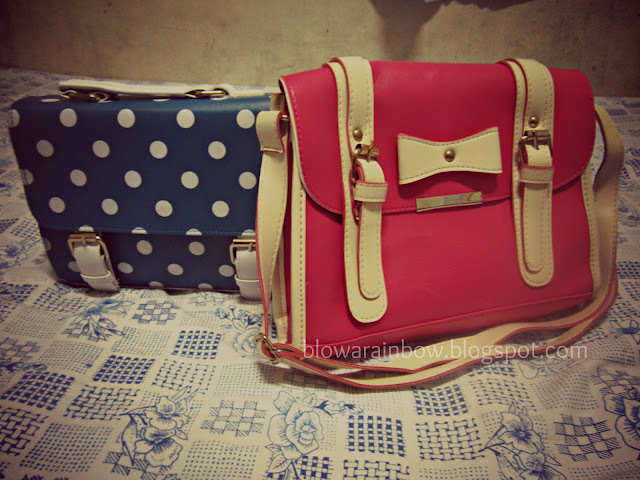 Both of these bags are so cute, especially loving the polka dotted one! those bags are all so cute! could you follow me back? Great post! 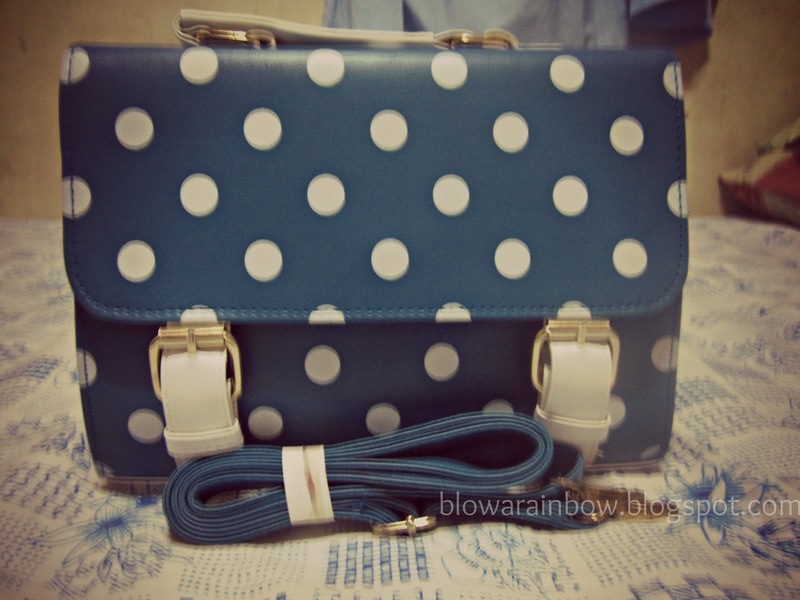 Love the polka dot bag. Btw, thanks for your kind comment on my blog, following ya!Mind a follow back? Love the blue one with the polka dots, definitely one of my favorite kind of patterns. these are so cute, love the polka dots! 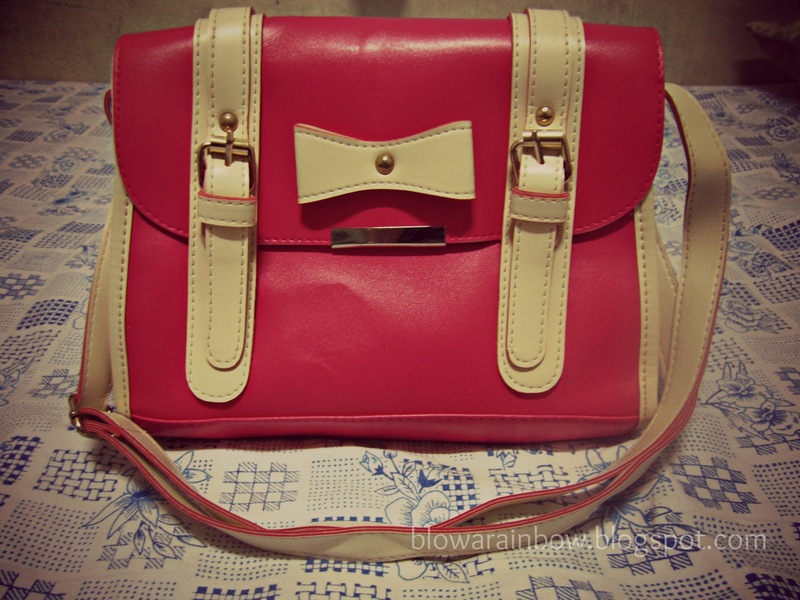 Lovely bags! Polka dotted is my fave! i love red color bag.. i am your follower :) do visit mine and i hope you will also follow me.. THE POLKADOT BAG IS OH SO COOL!!! Love both !!! so cute!!! By the way, thank you for visiting our blog. Sure we can follow each other. You just got new follower on GFC#710. Thank you so much for your sweet comment! I think the bags are just fine! And of course I'd follow each other :) - Now I'm just waiting for you to follow back! The bags look so cute! I especially like the second one, great colour. You have an amazing blog hun. Do you want to follow each other? Specially love the polka dots one, really cute, and great price!! thanks a lot for your visit, would you like to follow each other? amazing bags! !Thanks for your lovely comment,I fllw u with pleasure,waiting you back! The blue bag Love it! You are very inspiring dear.I just discovered your blog and really like it.! The first bag is SO cute! Love it! 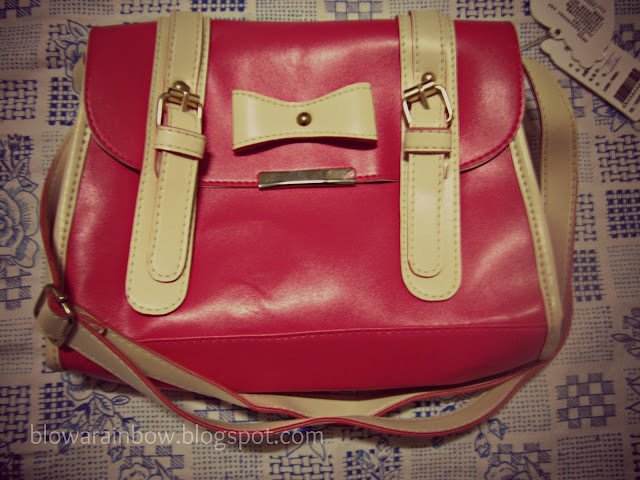 Great post, amazing bags & cute blog! 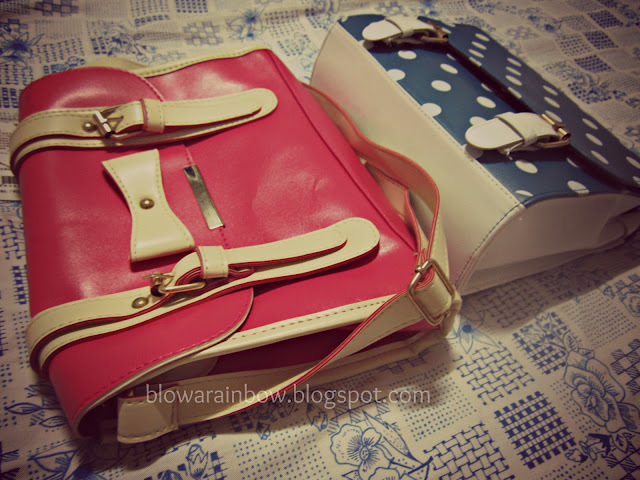 I love both bags, my favorite is the polka dot one! cutxi cutxi, so sweet, lovit! Really cute bags! Thank your for you comment girl. Wow! Love the bags and the colors!